Are you an existing Gunbot user? Did you buy Gunbot Standard (or equivalent) or Gunbot Pro? Can you prove it? You can upgrade to Gunbot Ultimate and trade in what you’ve already spent, up to the recognized value by Gunthy (makers of Gunbot). BONUS #1 -If you buy or upgrade to Gunbot Ultimate now before version 12 gets announced, you will get a free license for BITMEX exchange when it comes out. If you wait for version 12, you’ll have to pay for the license, but if you upgrade now, you’ll automatically get the license FREE when it’s released. That’s a 0.05 BTC value. BONUS #2 – LIFETIME BACHELORS. GBU Bachelor membership, which is $89/mo when bought separately, is something that is included FOR LIFE if you buy or upgrade to Gunbot Ultimate. 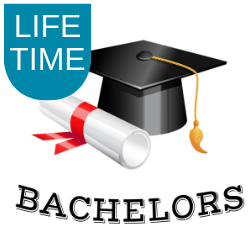 We sell LIFETIME Bachelors for $1000 in our store (about a year’s worth of monthly payments). With Bachelor membership, you get into our Slack community, Professor chat with Q&A, “ask a professor” with guaranteed turn-around time, member-only articles, Gunbot Settings, Weekly GBU LIVE sessions with a Professor, and unlimited access to past recordings of GBU LIVE sessions and webinars. Example 1: Let’s say you had purchased Gunbot Standard v10 for 0.1 BTC and you currently one exchange license. Not all purchases count, and you have to have your purchases approved before hand. See below for more details. First, to qualify for this Trade-in deal, you must be a Gunbot owner. You must be able to validate ownership with GBU, who will work with you to verify your ownership. Second, you must provide proof of payment. This is usually by way of email receipt or telegram conversation, and txid. You can contact us on our GBU Feedback Form with your interest in upgrading and we will give you specific instructions on how to purchase the upgrade and what discount you are entitled to. 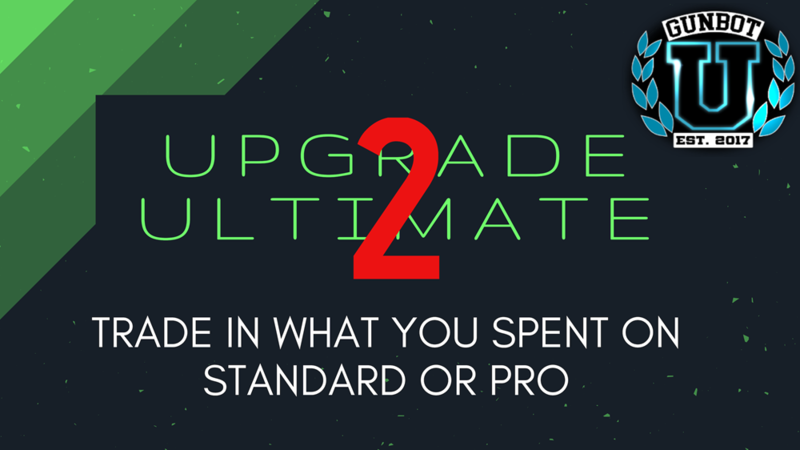 Use the form, indicate that you are interested in the Upgrade to Ultimate and we’ll give you next steps. You can always add GBU VPS Hosting to your order, and we’ll host your Gunbot for you. 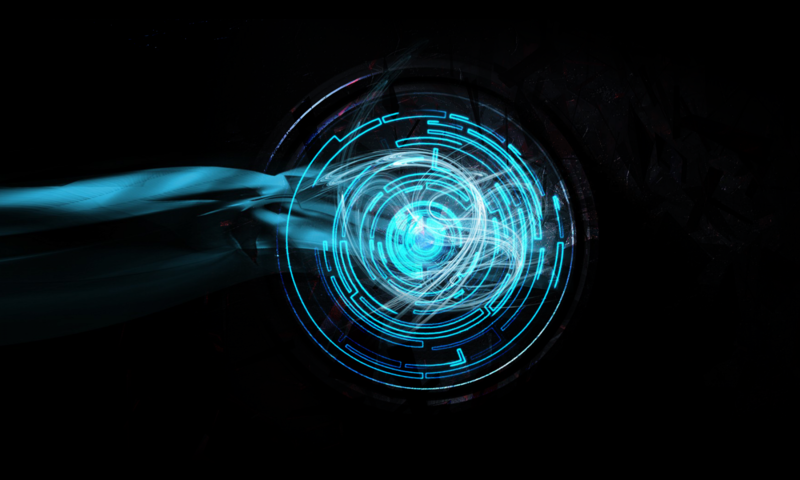 Let us handle the hard part – we’ll install, configure and host your Gunbot in the cloud, close to the Exchange of your choosing for optimal performance. Our $30/month offering includes 3 instances, which is good enough for about 6 exchanges before you start experiencing performance issues. The $15/month offering has 1 instance, which is good for up to 2 exchanges (maybe more if you want to push it).